View More In Travel Bags & Carts. 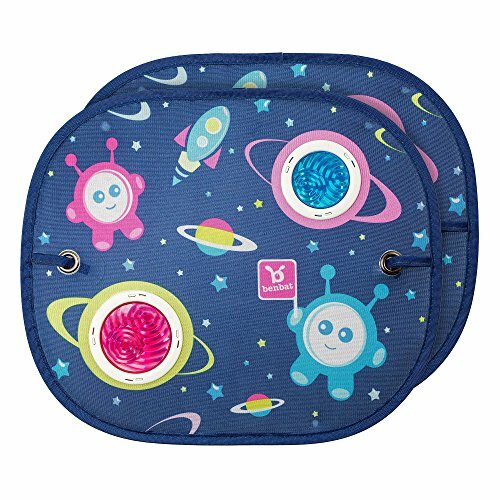 The bubble dream round car sunshade 2 pack has been specially designed to create a colorful environment and loads of engagement for your baby while on the go. Natural daylight creates fascinating textures through colorful bubbles that visually stimulate your child's senses. Bubble dream car sunshade keeps your baby/child entertained while also protecting them from the sun. 2 pack, one for each side window or separate cars. Protects your child from harmful UV rays filters light without restricting the view easily attaches to the window with silicon pumps stimulates baby's senses understated elegance for modern parents ages 0 and up. If you have any questions about this product by BenBat, contact us by completing and submitting the form below. If you are looking for a specif part number, please include it with your message.